What are the model of mini mix concrete plant for sale? 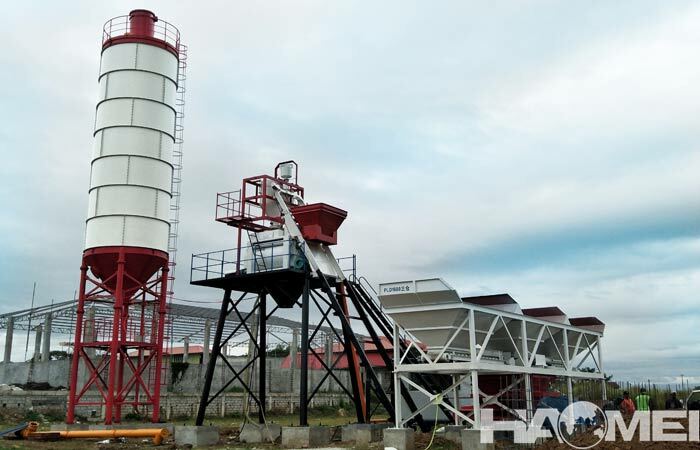 Mini mix concrete plant for sale commonly used models are HZS25 and HZS35, it is generally used in small construction sites and projects where the demand amount of concrete are relatively small. So the market of mini concrete mixer plant is hot, how can we choose such equipment? 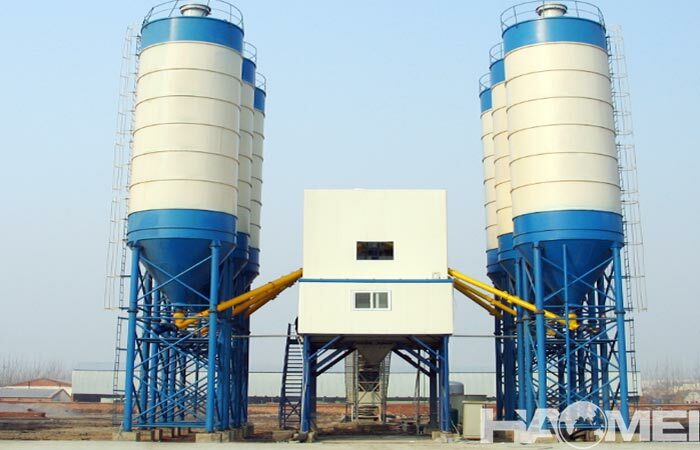 What standards should be according to when we choose mini concrete batching plant for sale? 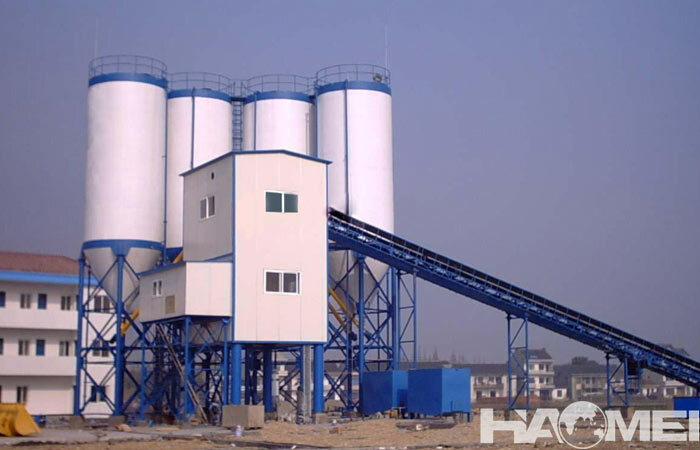 HZS35 concrete mixing plant equipment is a relatively small equipment. Let us take it as an example. First of all, the equipment adopts JS750 concrete mixer, which can produce 0.75 m3 concrete each time. It is a traditional double-shaft forced concrete mixer, this central mixer has better mixing performance, practicality and durability. For the forced twin-shaft concrete mixing machine, the JS750 concrete mixer is a very mature equipment. It was used as the main concrete production equipment when the on-site mixing was allowed. 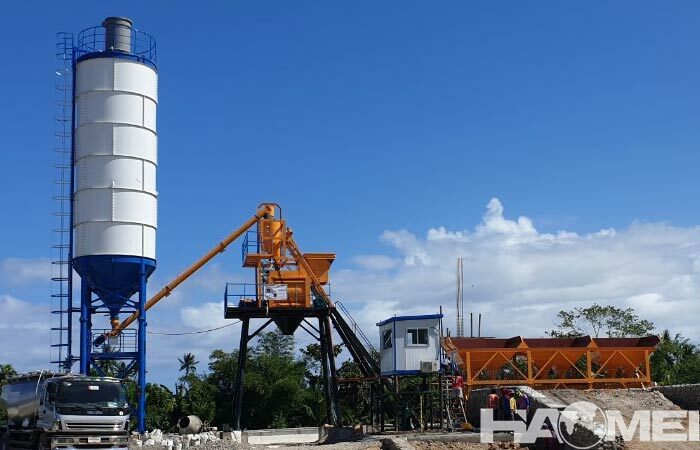 The mini concrete batching plant can be equipped with a fully automatic control system to achieve automatic rationing, precise mixing and other effects. The production of concrete and the number of labels can reach a relatively good standard. The feeding method of mini mix concrete plant is skip hopper, the main advantages are small footprint and flexible. It can be adapted to a variety of small projects and places where there is less demand for concrete. The cost of the mini concrete mix plant equipment is also relatively low. These types of mini mix concrete plant for sale are now used in small construction sites such as subway construction, and in various construction sites where the demand for concrete is relatively small. 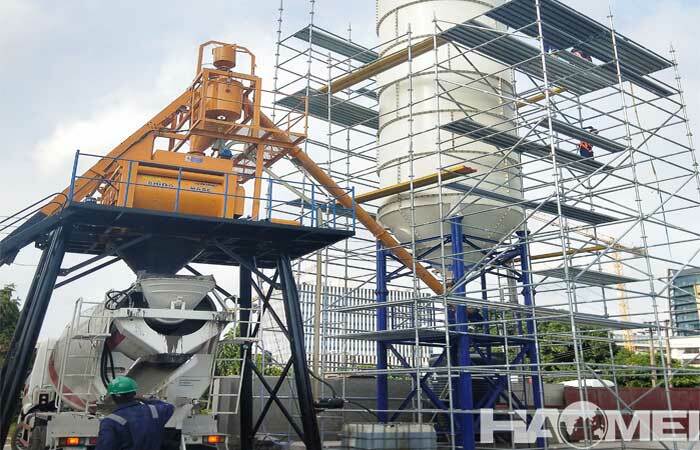 For commercial concrete production, the entry model has become HZS120 with large output and high efficiency, which can be more adapted to the mixing of various types of concrete to meet various mixing needs. If your site is small and the demand for concrete is not high, mini mi concrete plant is your right choice with low cost and small footprint.